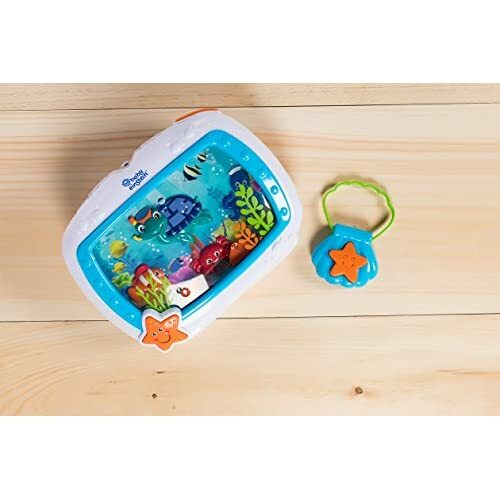 Fits most crib rails with approximate circumference of 10.5"
Fill your little one with wonder and set sail for sweet dreams with this best-selling aquarium crib soother. 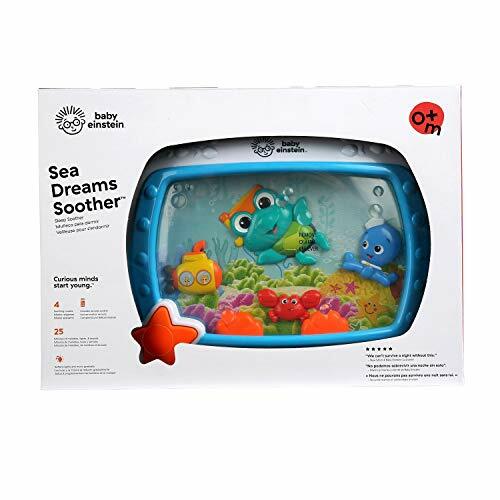 More than just a lullaby machine, the Sea Dreams Soother comforts baby with classical melodies and soothe and glow light effects - brought to life by an enchanting cast of Baby Einstein characters. 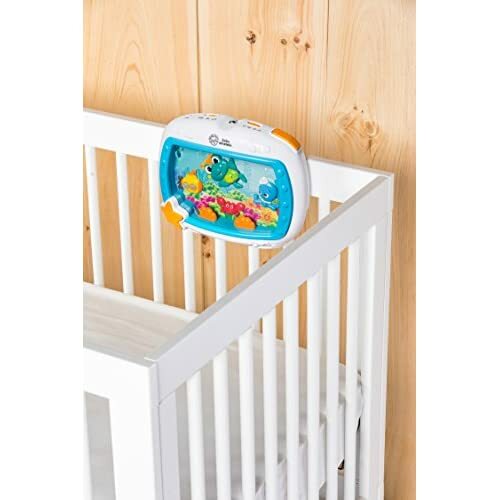 Little eyelids grow heavy with the unique Drift Off feature, which gradually softens lights and sounds every 10 minutes. 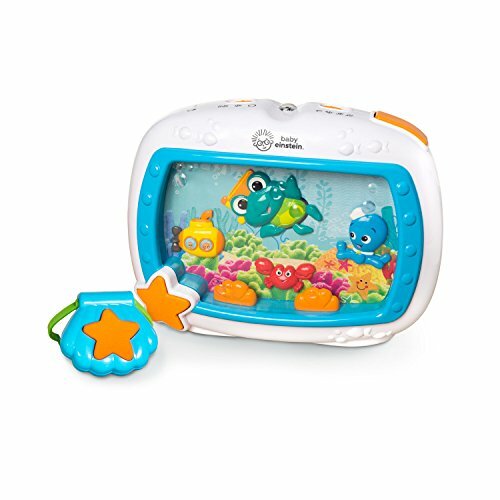 Parents can reactivate the soother remotely to avoid wake-ups or disturbances. 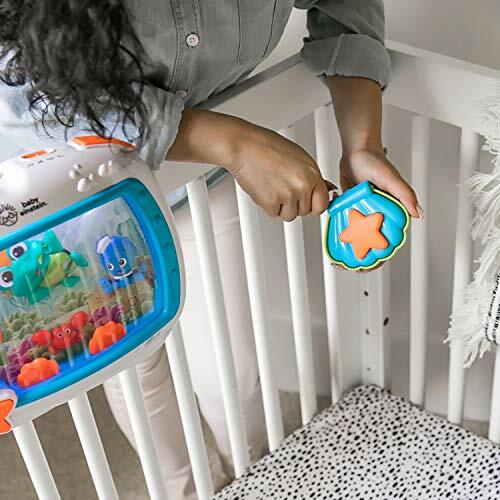 And because this sleep machine is made just for our littlest loves, babies can easily turn the soother on themselves if woken in the middle of the night. 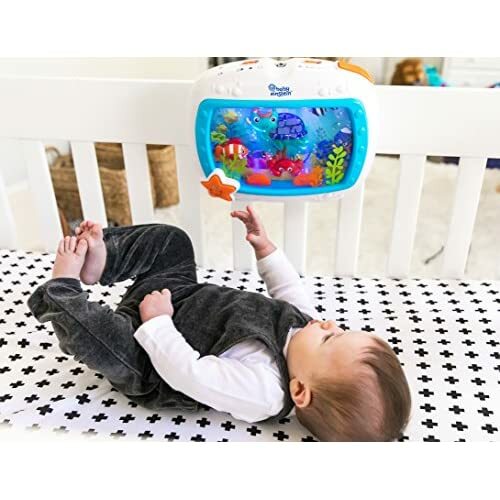 Even the busiest babies need a good night's sleep, so they can explore the world around them well-rested and refreshed. Wipe clean with damp cloth and mild soap. Do not immerse in water.